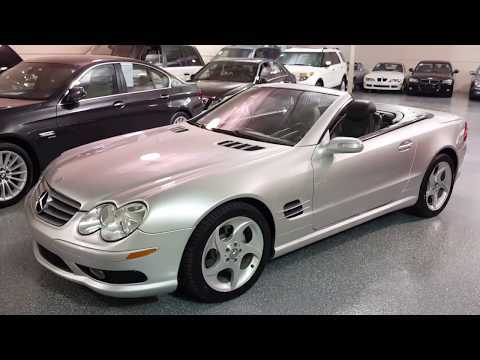 2004 Mercedes SL500, Brilliant Silver Metallic-Dark Anthracite leather interior, AMG Sport Package, 59K miles. Power heated and cooled pulsating massage seats with memory, power retractable hard top, leather and wood steering wheel, V8 engine, 7-speed automatic transmission. Active adjustable suspension, factory navigation with premium sound, Xenon headlights, 6-disc CD changer, 18-inch sport wheels with AMG body trim. Great Condition, no rust, from Arizona, recently new batteries and motor mounts done by local Mercedes dealer. Fully detailed. EXTRA CLEAN! Select Motors, LTD. has been visited 13,718,990 times.